Canadian economists have suggested the Bank of Canada will look to increase rates sooner rather than later, with the Bank of America expecting a rate cut. "As the Fed hikes, the spillover effect of higher long-term rates in Canada will likely tighten financial conditions, reducing the need for any BoC policy tightening," Emanuella Enenajor, a Bank of America economist, and Ian Gordon, a foreign exchange strategist, said in a new report titled Handcuffed by the Fed. "Even as the Fed begins a gradual rate hike cycle this year, we think the BoC will remain accommodative, and will likely ease by another 25 basis points to 0.5 per cent if growth disappoints, as we expect." A number of Canadian economists, however, have a differing opinion. According to the National Post, Silvana Dimino, a JP Morgan Chase & Co, economist, believes the Bank of Canada will hike its key interest rate in the middle of next year, despite previous forecasts that the Central Bank will wait until the end of 2016. Poloz, of course, surprised the country with a 25 basis point rate cut in January. 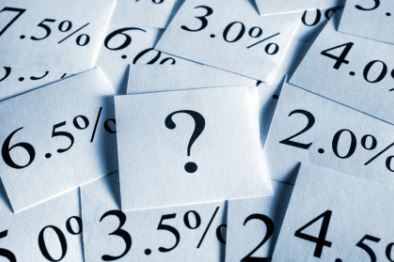 The rate cut was part of the government’s “economic easing” and was expected to help kick-start the economy as it attempts to rebound from low inflation levels. “We anticipate a partial rebound in growth in the second quarter, and a move to above-trend growth thereafter, for annual growth of 1.9 per cent this year,” Poloz in late April. “This projected growth profile gets us back on track to absorb our excess capacity around the end of 2016, at which time inflation will settle sustainably at 2 per cent. With labor participation rate, median household income, average hourly work week at historic lows and falling combined with debt levels at all time highs, any suggestion that the FED will tighten in a debt fueled economy is preposterous. The caveat is credit spreads blowing-out triggering a de-leveraging cycle. Aye aye aye...another day, another bunch of supposed "experts" with predictions. Whatever. Lets all individually look at whatever data makes sense to us, form our own opinions, and advise our clients accordingly. If we're not capable of such rational logical thinking then shame on us for even being in the business in the first place. MGG, what you're saying makes sense but please follow-through. What data makes sense for you, what's your personal opinion, and what are you advising accordingly?